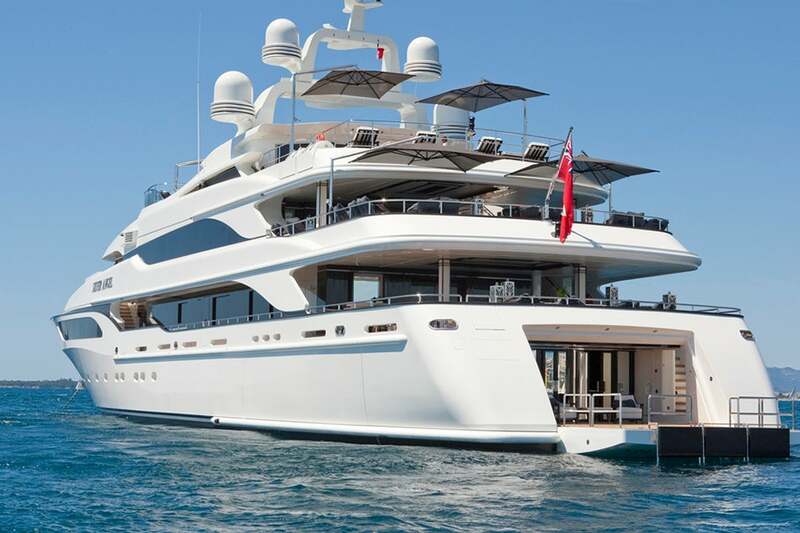 Boasting a glittering client list that includes such boldest of bold-faced names as Madonna, Naomi Campbell and restaurant impresario Richard Caring, London-based interior designer Nicola Fontanella creates ultra-luxe private homes, planes and yachts distinguished equally by their old-school glamour and by rock ’n’ roll twists. We are both laughing as she tells this story — it’s the very definition of chutzpah. 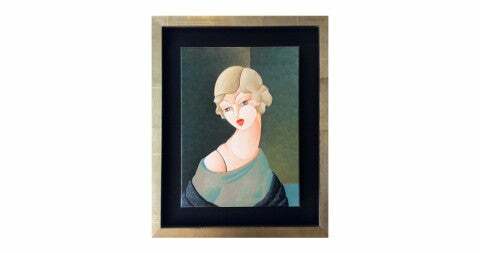 In the end, the bank lent her the money, and she bought the scarves. (She admits she then regularly had to spend a sizable chunk of her meager wages having them professionally cleaned.) 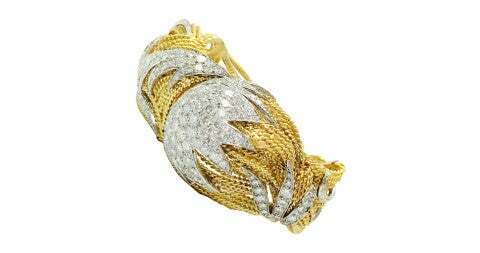 Such frankness and humor are typical of Fontanella, who launched her London-based company, Argent, before she was 30 as a one-woman operation headquartered in her sitting room. 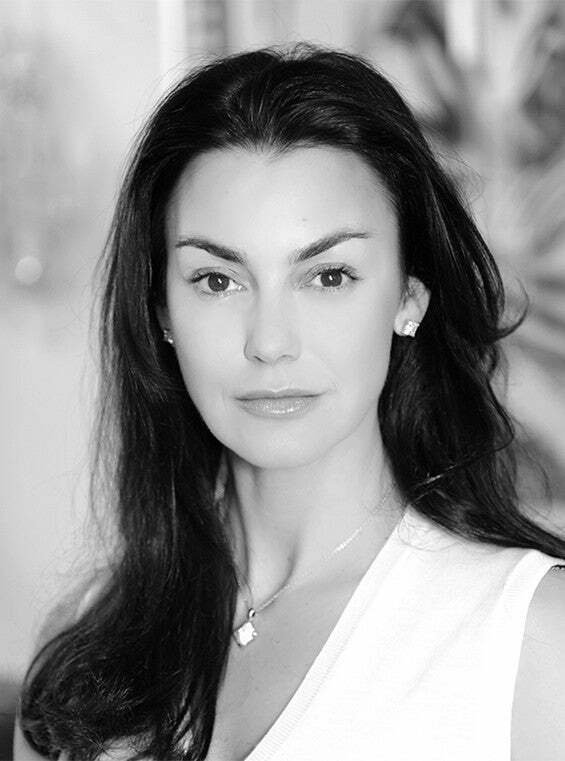 Today she runs a studio with a staff of 30 in Marylebone and a satellite office in Miami, undertaking a raft of international projects from superluxurious private houses to multi-unit developments. We are talking in her Belgravia home, which she bought as a shell two years ago and has transformed into a glamorous, Deco-inspired oasis with a white onyx staircase, marble floors, shagreen walls, Lalique wall lights, jade ornaments, rich fur throws and bold contemporary art, including works by Andy Warhol, Gavin Turk and Banksy. Although she rightly insists that Argent takes on projects of many different styles and briefs, if there is a signature Fontanella look, this is it: old-school glamour combined with a twist of rock ’n’ roll. 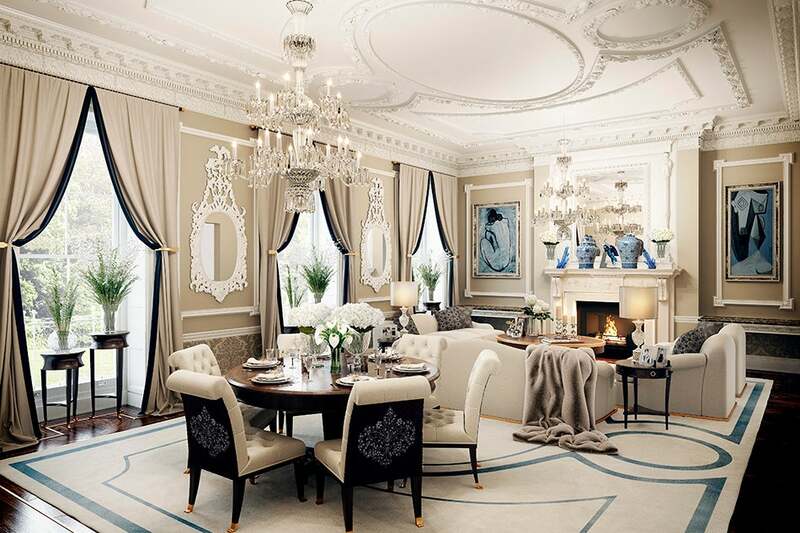 For the drawing room of a landmarked townhouse in the heart of London’s Mayfair district, Fontanella enhanced the original plasterwork ceiling with a Georgian chandelier, adding a pair of period mirrors between the three windows. 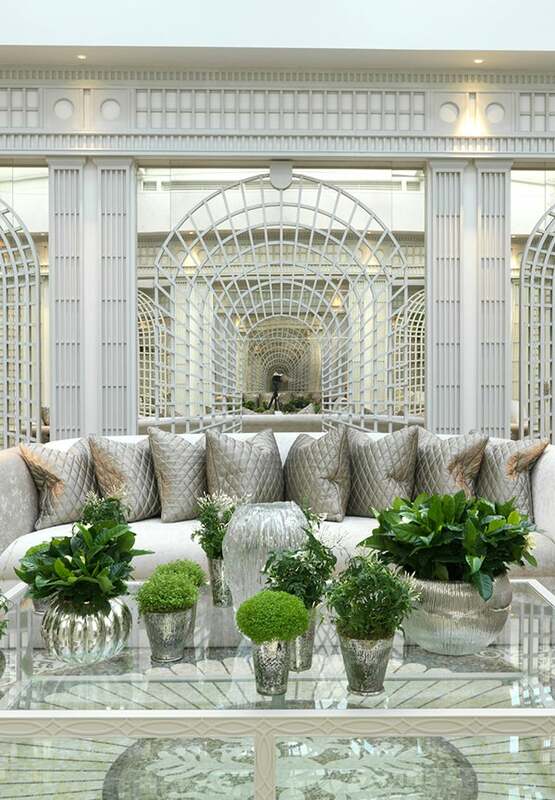 In the central London penthouse, a patchwork of bronze-finished mirrors in the ceiling uplift a seating area, making it appear to be double-height. The shelves are back-lit onyx. 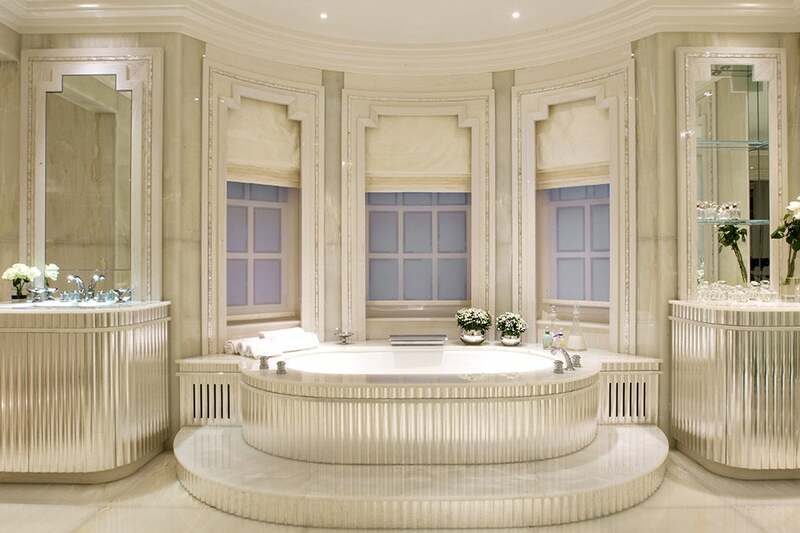 Fontanella designed the Deco-celebrating master bathroom of a home in the Saint John’s Wood neighborhood of London to incorporate platinum water-gilded detailing, white onyx, marble and mother-of-pearl inlay. 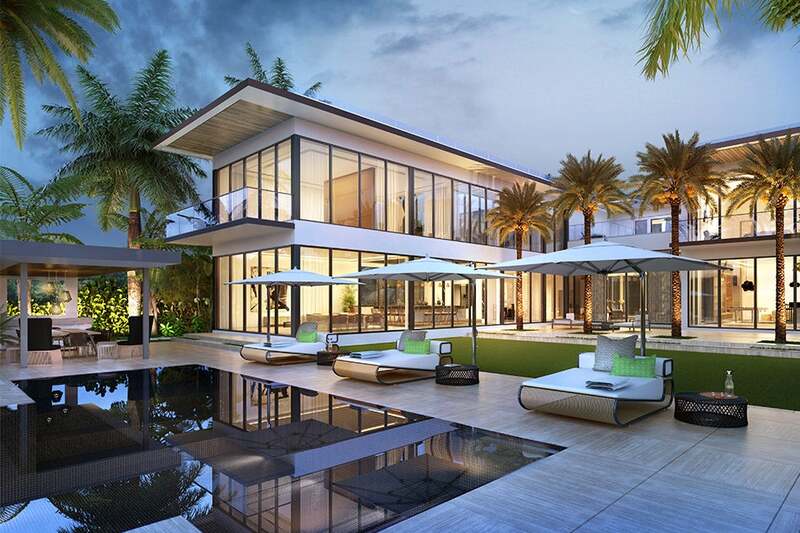 The designer handled both the architecture and interiors of a 23,000-square-foot contemporary new-build home in Miami, where she has a satellite of her London-headquartered studio. She also oversaw the home’s landscape design. 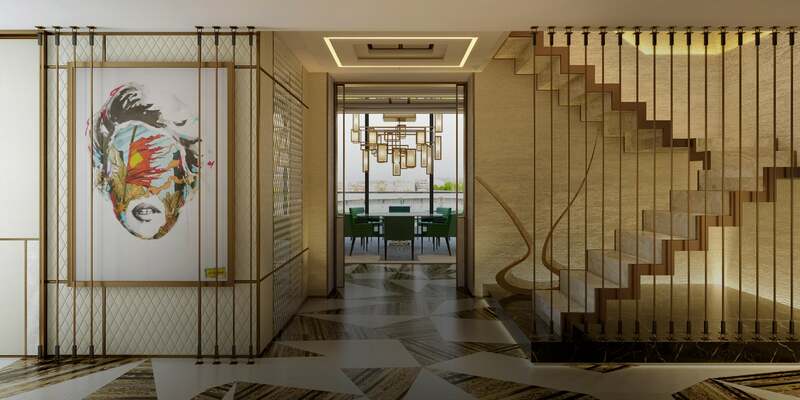 The Miami residence’s interiors incorporate bronze inlay in the joinery, bronze mesh curtaining, reclaimed petrified wood and marble floors. The roof of the winter garden at a restored and renovated historic townhouse in London’s Eaton Square is fully retractable. She grew up near Stratford-upon-Avon, Shakespeare’s birthplace, with what she describes as an “English rose” mother and a “sharp-suited” Italian father. Childhood was a country idyll of pony-club camps and village flower festivals. However, the first time she visited London on a school trip, at the age of 11, she knew that was where she wanted to be. On leaving school, she embarked on a fine-arts degree at Middlesex University but dropped out when she landed an internship at Harrods’s interior design studio, which was to dramatically alter the course of her life. “Those were the days when interns worked their butts off,” recalls Fontanella. “But when they offered me five days a week, I said I could work six. The head of design was an absolute dragon, but she was also the most incredible mentor. In many ways, it was worse than being back at school, but I was very ambitious, and I knew I could learn a lot by working like a slave.” She also knew that if she looked good, people would think she was good — hence the two Hermès scarves. At a dinner party, you would secretly move place settings in order to nab Fontanella as your companion. Lethbridge House, a palatial residence on London’s Regent’s Park, which Fontanella completely overhauled from the interior architecture to the choice of art, is set to go on the market next spring for $82 million. 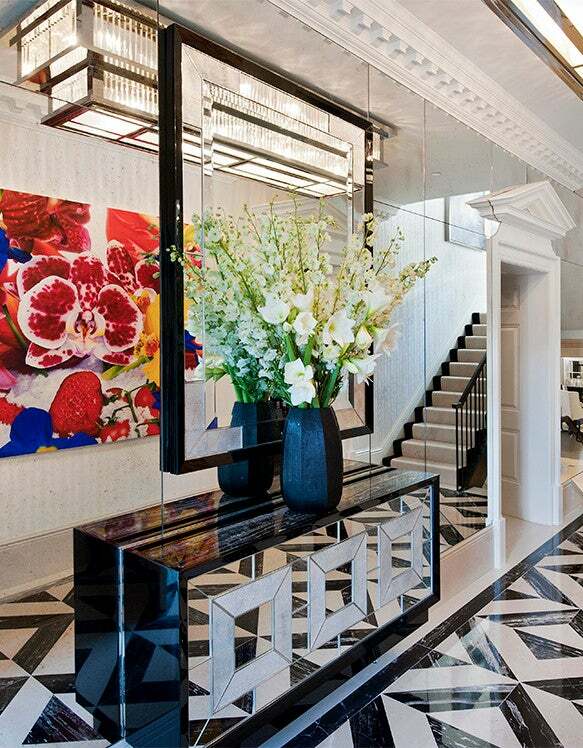 The mirrored foyer is hung with a painting by Marc Quinn. A nearly 100-foot-long barrel-vaulted lit ceiling illuminates a private members club in Saint Petersburg, Russia. 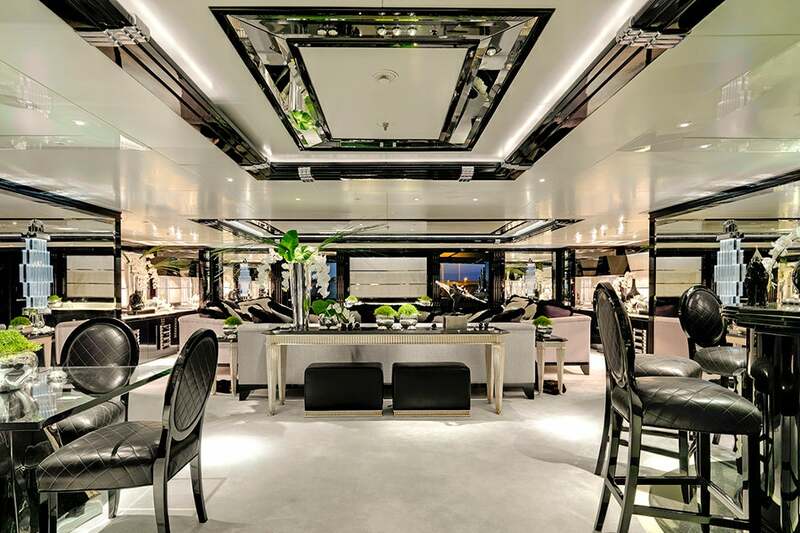 Fontanella designed the interiors of the 65-meter superyacht Silver Angel in collaboration with her mentor and close friend Lady Tina Green, wife of retail entrepreneur Sir Philip Green. 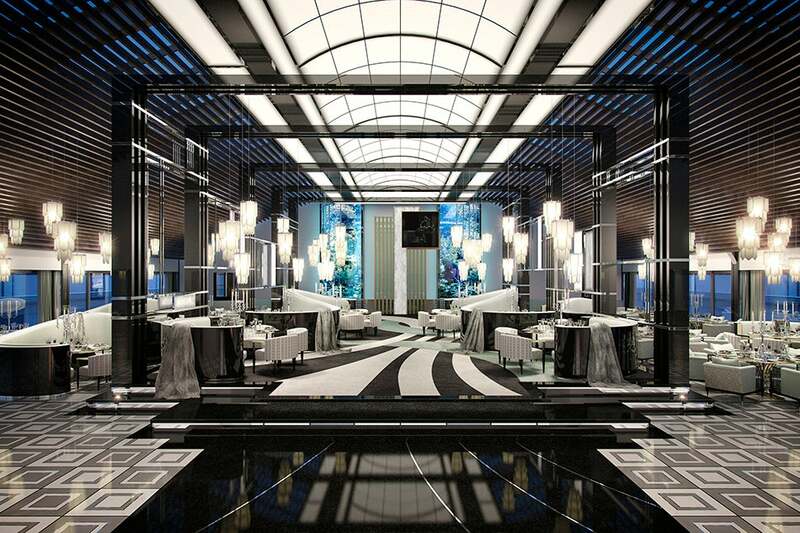 Quilted-leather bar stools, silver-leaf consoles, bespoke Lalique wall lights, shagreen-inlaid tables — all in black, white and platinum — define the Silver Angel’s drawing room and bar. 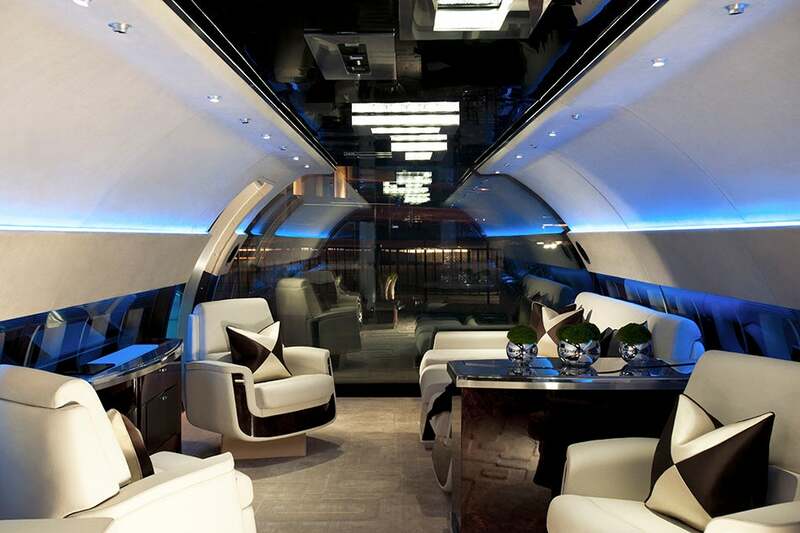 Fontanella created this show-stopping plane interior as the showpiece at the Jet Business, a first-of-its-kind private-jet dealership in London. “Deep down, I knew I could make it on my own,” the designer says of her decision to start her firm at the age of 29. 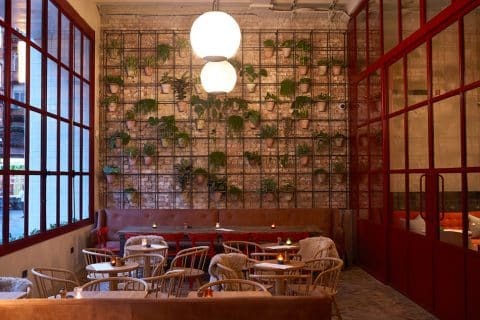 For the real estate developer Capco, for example, she delivered a new vision for Covent Garden that included a super-luxury mixed-use development, helping double residential property prices to more than $4,000 per square foot in the process. 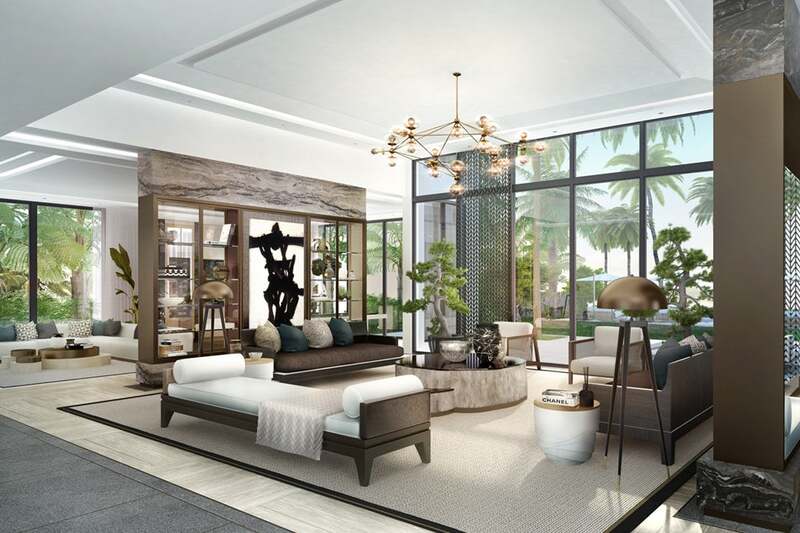 She is thrilled to be running so many projects — including end-to-end turnkey projects —in Miami, a city that matches her own energy and optimism. Her next ambition, in fact, is to grow her business there so that it is on par with that in London. 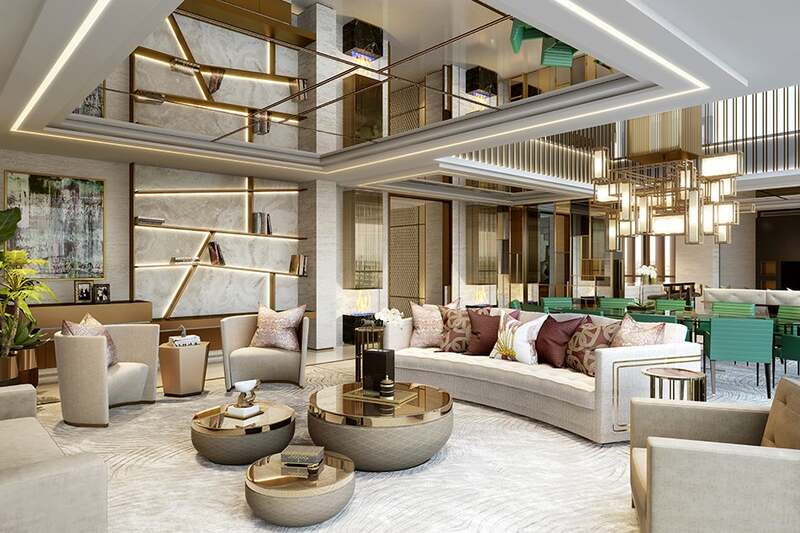 Already she has achieved a record residential price per square foot of nearly $1,100 with 14 La Gorce Island, a speculative 18,000-sqare-foot mansion whose development she oversaw from external architecture to interior decorating to final styling. Argent continues to go from strength to strength with such recently completed projects as the interior architecture of a private members club in Saint Petersburg, Russia; and, in London, the complete turnkey service for Lethbridge House, an almost 12,000-square-foot residence in Mayfair set to go on the market next spring for $82 million; the interior design of 89 apartments for a development in Chelsea; and the interior architecture of a 60,000-square-foot residential development in Hampstead. As for those two Hermès scarves, they proved to be quite a sound investment, indeed. Fontanella still wears them — and she paid back that bank loan long, long ago. 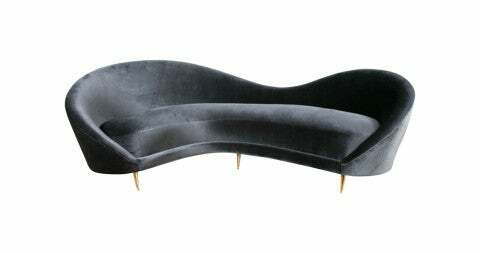 This 1970s sofa has such a great shape — that beautiful curve is sophisticated, smart and alluring. I love this because to me it is “graffiti cool,” as opposed to “graffiti grunge,” glamorous but also a little bit punk. It chimes with a development I am doing in Shoreditch for Galliard. I am bored to tears by people raving about vintage Hermès bags. I want to wear this Hermès swimsuit on the beach! Everyone should have some Pamela in their homes — she is so much fun. 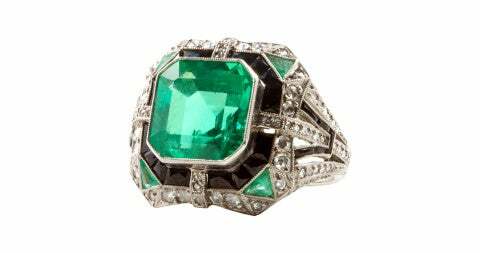 I am designing a penthouse with Art Deco detailing at the moment, and when I saw this ring, I thought the stone could be reimagined into the most amazing door handle. 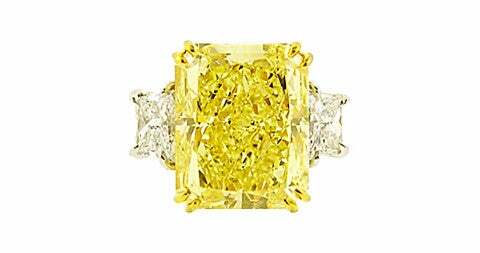 In fact, the detailing for the whole scheme could be taken from this one little ring. This is absolutely stunning. 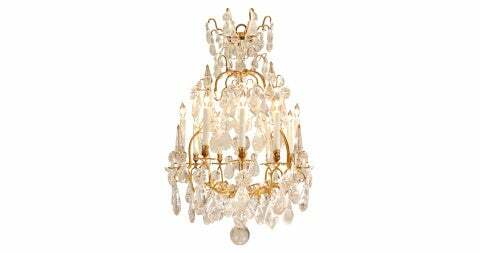 Nobody makes rock crystal chandeliers like this anymore. I can’t bear modern lighting, so everything I use is vintage. I would honestly prefer a torch to modern lights. I love her because she is so peaceful and Zen — I have a lot of celadon and jade in my house, and she would fit perfectly with those muted colors.